I recently went to visit my sister who lives in Huddersfield and decided to pop along to Manchester simply because I want Taco Bell - I have been on a crazy Mexican food binge. I didn't buy much in Manchester but I went along to the NYX Cosmetics stand in Boots since the one in Newcastle does not open until the 10th of May. I wanted to pick up some of the Lip Lingerie but they weren't available. I've been tackling my undereye circles therefore constantly buying new concealers to try out. I picked up the Dark Circle Concealer in Fair and HD Concealer Wand also in Fair. The Dark Circle Concealer has a salmony pink undertone - I think this is going to work wonders to counteract the darkness under my eyes. The HD Concealer Wand has a yellow undertone which is going to help brighten my undereye area and act as a overall highlight. The High Definition Blush in Taupe is well sought after, with only one left when I went to pick it up. It acts as a great contour colour as it is not too warm and not too cool. The powder is very smooth to touch and does not create any patches when applied. And lastly a Matte Lipstick in the shade Sierra. Sierra is a burnt rusty orangey red colour, which I wanted to pick up in my last haul but my sister and friend stopped me as a bought a lot last time. This is the colour that I have wanted in my collection for a very long time, it reminds me of MAC Chili which I am going to own soon haha! That is all for the mini haul, I can't wait to use all this and pick up the Lip Lingeries soon. Do you have any NYX cosmetics that you recommend? My last NYX Haul is available here. I love the HD concealer! It's the only concealer I've found that is actually light enough for my skin tone. 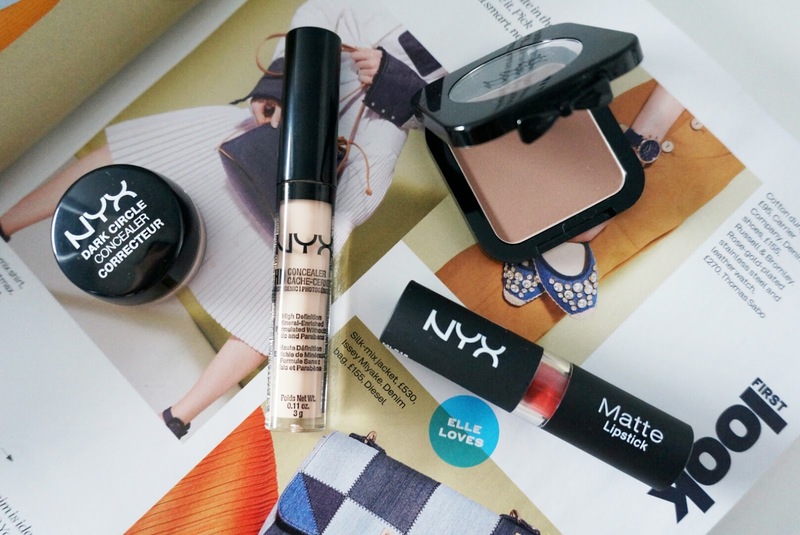 I think I need to lose my NYX virginity and buy the Dark Circle concealer! My dark circles are starting to really bother me. Some lovely buys! 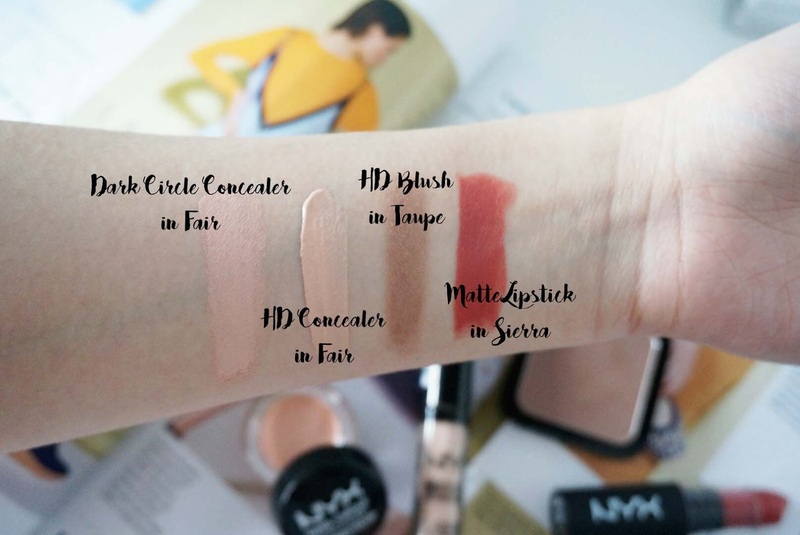 I have used the HD Concealer before and it was amazing, the matte lipstick looks so beautiful- I'm going shopping tomorrow so am definitely going to see what I can find!